Brad’s practice focuses on Entertainment and Intellectual Property Litigation, representing many leading businesses and individuals in the music, video game, and film and television industries, as well as emerging and established technology businesses. 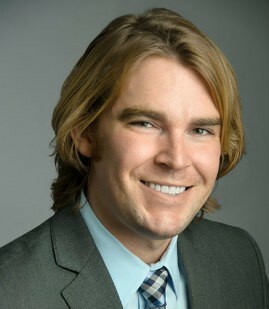 Brad has a wealth of experience litigating in both state and federal courts across the country, with a concentration on copyright, trademark, and contract and commercial disputes. Representation of some of the world’s largest video game publishers in trademark and copyright infringement litigation. This includes current representation of a video game publisher in high-profile trademark infringement claims involving the depiction of a military vehicle in games from the Call of Duty franchise. Past experience has included successfully asserting claims on behalf of video game clients against individuals and businesses accused of copyright infringement and violations of contractual obligations. Representation of record labels, music publishers, songwriters, managers and performers in all types of music industry disputes, including copyright and trademark infringement, contract disputes and negotiations, and audit disputes. Past experience has included successfully obtaining dismissal with prejudice of multiple copyright infringement claims against music publishers and record labels, including in cases such as Shaheed-Edwards v. Syco Entertainment, Inc. (C.D. Cal., Case No. 17-cv-6579) and Pryor v. Jean, et al. (C.D. Cal., Case No. 13-cv-2867). Successful representation of record labels and music publishers in multiple disputes involving use of copyright works by third-parties. Member of defense team that successfully represented a popular British boy band in a trademark dispute regarding the band’s name. Representation of film and television companies and individuals in disputes involving alleged violations of the right of publicity, including obtaining dismissal with prejudice of claims involving the use of an individual’s image on a television show. Representation of individuals and businesses in defamation litigation. Member of defense teams representing large international websites in copyright, trademark and patent infringement actions.